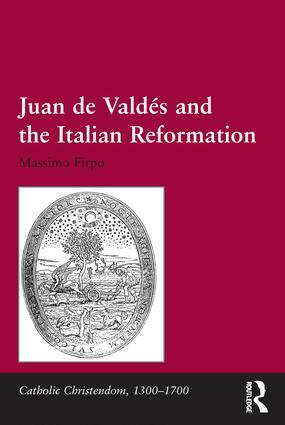 Foreword; Juan de Valdés from Spain to Italy; Italy and the Reformation; Valdesianism and the ‘spirituali’: an Italian Reformation? ; The radical heritage; Bibliography; Index. Having taught in the University of Cagliari and Turin since 1986, Massimo Firpo is now Professor of Early Modern History in the Scuola Normale Superiore of Pisa. A member of the Accademia delle Scienze of Turin and of the Accademia Nazionale dei Lincei in Rome, co-director of the Rivista storica italiana, he has been fellow of the Newberry Library in Chicago and Cornell University in Ithaca (NY), and gave the Isaiah Berlin Lectures in Oxford in 2006. His studies focus on the cultural and religious European history in the sixteenth Century, and particularly on the Italian Reformation, the Roman Inquisition and the relationship between art and religious dissent.